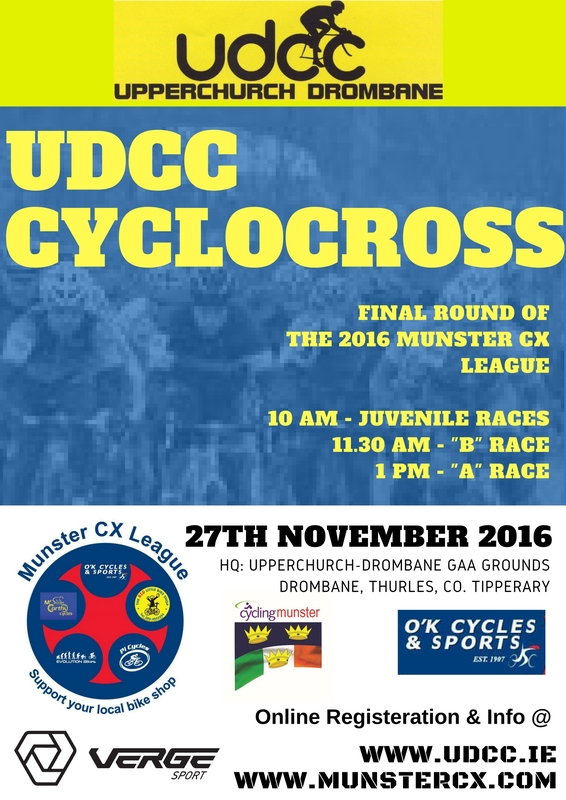 The 2016 UDCC Cyclocross Event will take place on Sunday 27th November 2016. 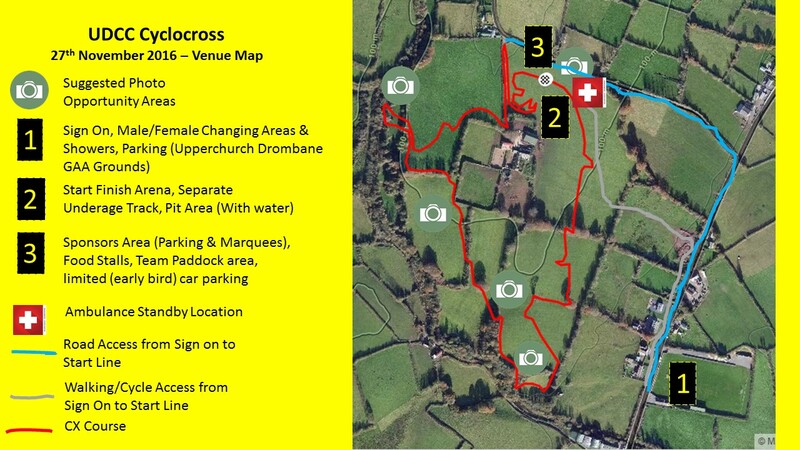 Event HQ is Upperchurch Drombane GAA Grounds, Drombane, Thurles, Co. Tipperary. Online Entry to facilitate timing system setup. Accommodation is available in Upperchurch Village and also local towns and villages. Full details will appear here shortly. Course is a mixture of grass, gravel & trail.